Accessible sweats are reserved in each price level and are subject to availability. Architectural Style: A Bedford limestone & concerete structure modeled after 17th and 18th Century opera houses. For 50 years Clowes Memorial Hall has remained one of the Midwest’s premiere performing arts facilities. Clowes Memorial Hall opened its doors October 18, 1963 in memory of the late Dr. George Henry Alexander Clowes, former research director for Eli Lilly and Company. Dr. Clowes devoted his life to science and the arts. The idea of a multi-purpose hall to serve Indianapolis and the community as a center for all the entertaining arts was conceived by Dr. Clowes. 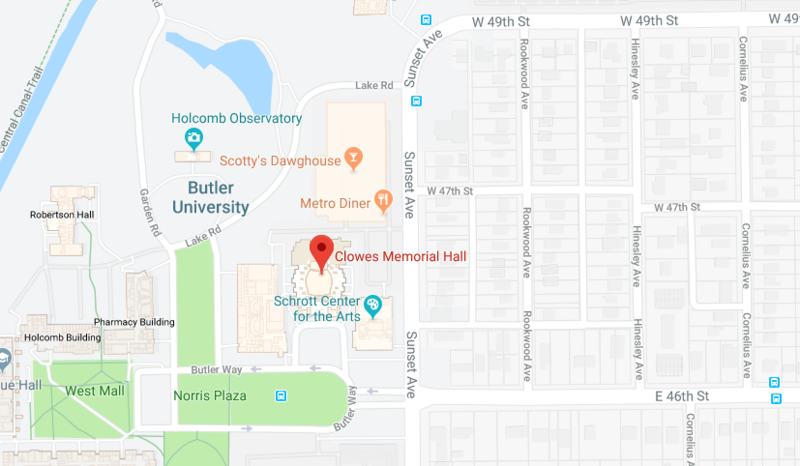 Funds to erect and complete the hall were subscribed by Dr. Clowes’ family, with his wife, Edith Whitehill Clowes as the principal donor, Butler University and a small circle of friends sharing in Dr. Clowes’ devotion to the arts. 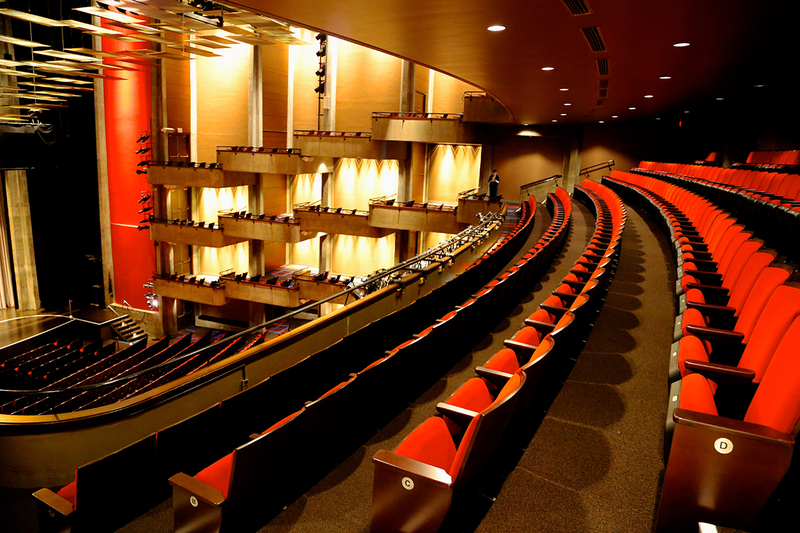 In addition to the Clowes Performing Arts Series and their Education program, Clowes Memorial Hall is home to resident companies such as the Indianapolis Opera, JCFA’s Music at Bulter and the Butler Ballet. Broadway in Indianapolis and other great organizations such as Music For All (Bands of America) and Butler’s Visiting Writers Series and Religion Seminars also present at Clowes Memorial Hall.